Towards the end of 2019 we will see something that has never happened in citizen science before – our first ever worldwide twitter conference! Do you have a smartphone? An internet connected laptop? A computer with wifi? 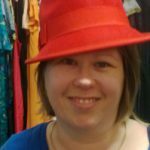 Does your local library have public computers connected to the internet or provides access to wifi? If so then you can participate. But here’s the great thing – there is no venue to pay for and no accommodation needed so this is the cheapest conference you will ever attend! What is a Twitter Conference? 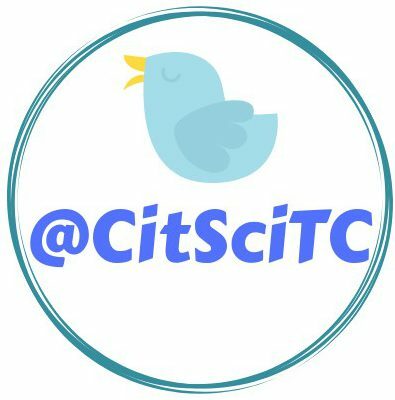 A Twitter conference is a virtual conference that takes place on Twitter under the hashtag #CitSciTC. Just like a regular conference, #CitSciTC will feature research presentations and even keynotes, but the talks will be delivered via a series of tweets under the conference hashtag. At this stage #CitSciTC is still in the planning stages. However the conference organisers would love some help including some tweeters to be our “Spam Police” both leading up and during the conference. If you would like to help in any way please contact the twitter account for the conference @CitSciTC or email CitSciTC@gmail.com. 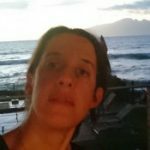 Never tweeted before or not sure how to set up an account? Have a look at this really helpful video. If you would like to see a twitter conference in action the 5th World Seabird Twitter Conference (#WSTC5) starts next week and you can already follow the online conversation here. Let’s get into the spirit of #citscimonth in April with a t-shirt competition! No, we’re not stretching or doing yoga…who can guess the MC’s pose? 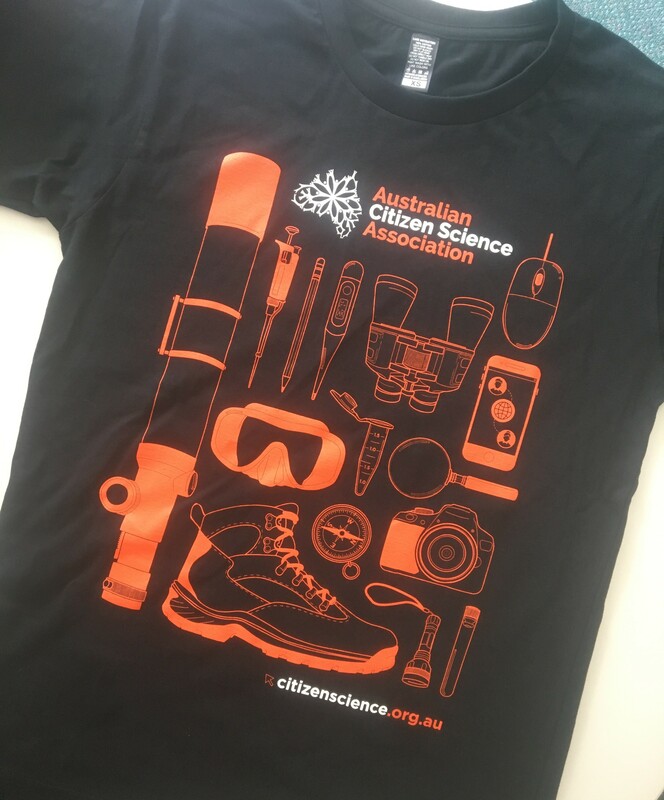 To enter the competition, wear your ACSA t-shirt and post a photo of yourself on social media with the hashag #citscioztee. You can post your photo directly to the ACSA Facebook page or tag us on Twitter or Instagram. It can be a selfie, a group pic with friends, family, colleagues or pets. Get creative and remember, only the entrant needs to be wearing the ACSA t-shirt in the photo. The photo that receives the most likes before the competition closes on April 30th, 2019, will win a $50 gift voucher from the Australian Museum shop. Not located in Sydney? No problem! ACSA will purchase a gift voucher for the winner’s closest Museum shop. ACSA will notify and announce the winner in May. 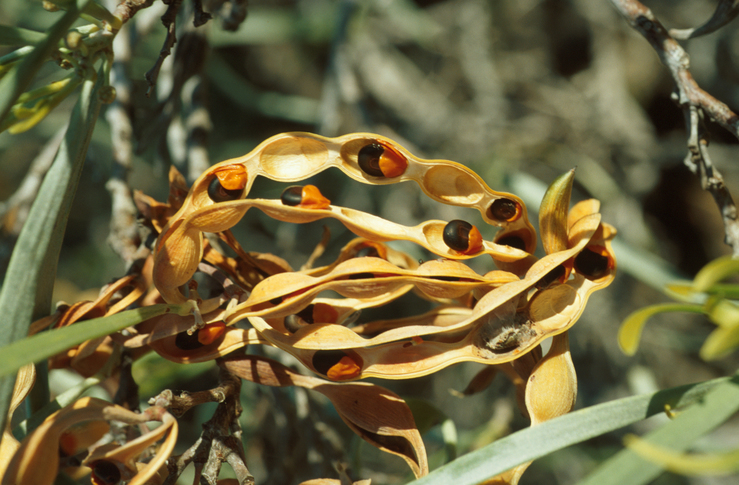 Launch of ACSA-QLD, Citizen Science Strategy and more! 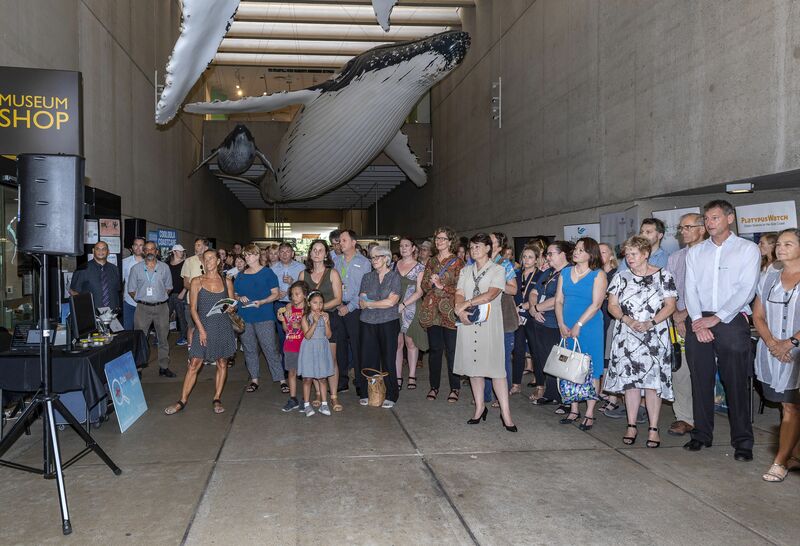 January 24th 2019 was a landmark day for citizen science in Queensland as Minister Leeanne Enoch formally launched the new ACSA-QLD Chapter and announced the Queensland Government’s Citizen Science strategy and grants at the Queensland Museum. Citizen science groups including Cooloola Coast Care, Qld Health’s Zika Mozzie Seeker, Scenic Rim Wildlife, BirdLife Southern QLD, Brisbane Catchments Network, CoralWatch, Healthy Land and Water, Gold Coast Catchment Association, Griffith Centre for Coastal Management and the City of Gold Coast were invited to set up a stall in the Whale Mall. Over 200 adults and kids stopped by to try their hand at citizen science activities and to listen to Minister Enoch’s speech about the value of “mobilising Queenslanders to help our scientists with important research projects, because the more eyes and ears you’ve got out there, the better”. Zika Mozzie Seeker coordinator and Advanced Medical Entomoligst, Brian Montgomery from Metro South, Qld Health, spoke about the importance of public participation in early warning programs and how important “null”or zero values (e.g. no mosquitoes) are to citizen science projects. He also spoke about the commitment of citizen science projects to communicate findings back to the project’s citizen scientists. 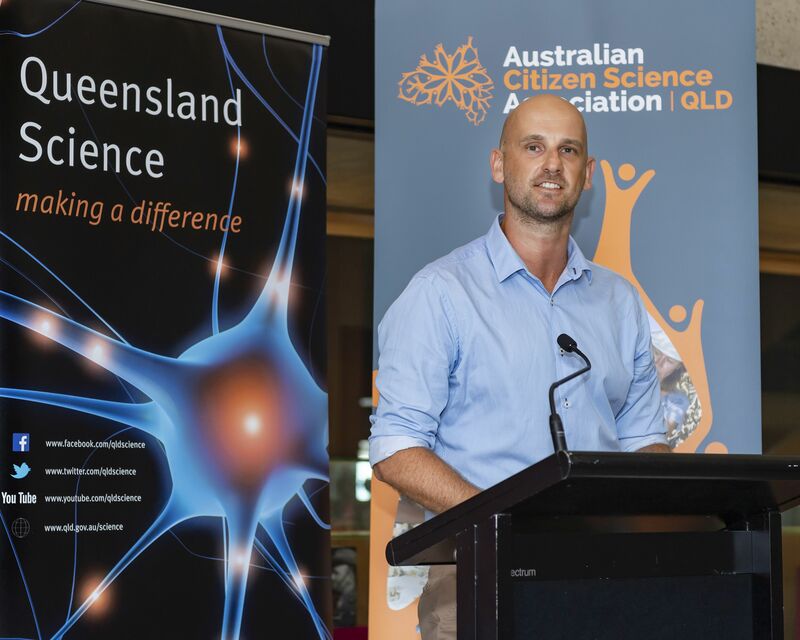 In his first official speech as ACSA-QLD Chair, James Gullison spoke about the new ACSA-QLD Chapter, the Citizen Science strategy and grants before inviting the former Qld Chief Scientist, Dr Christine Williams to be the patron of the ACSA Qld Chapter. You can read James’ speech below. More information about the Qld Citizen Science strategy and grants can be found here. So what’s next for ACSA-QLD? After a big deep breath we are now very busy organising a citizen science booth for World Science Festival Brisbane. Come along and see us at Street Science! “The ACSA-QLD Chapter is excited about the launch of the Queensland Citizen Science Strategy as we believe it will further promote the value of citizen science to the greater community. 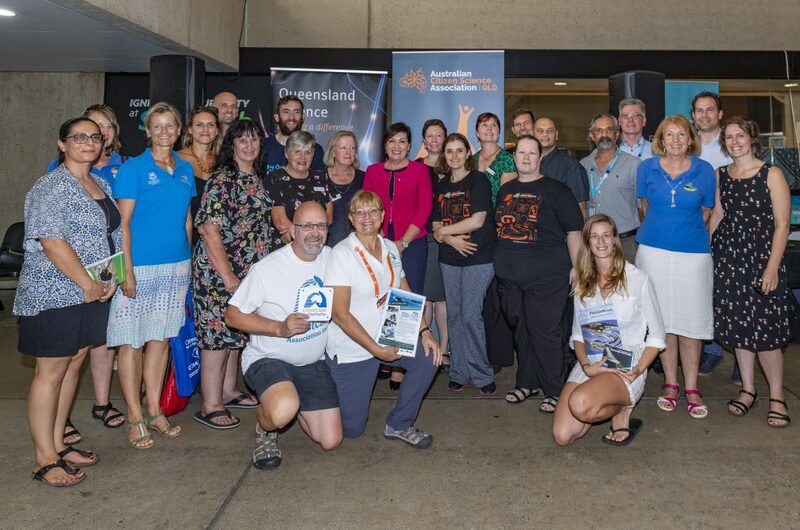 It was less than 12 months ago when there was a meeting of the Queensland delegates at the Australian Citizen Science Conference in Adelaide when we were told the Office of the Chief Scientist was supportive of an ACSA-QLD Chapter. From the formation of the committee in June 2018, it’s hard to believe how quickly the strategy and chapter have progressed in a short time frame. We could not have achieved so much over the past twelve months without the support of the Office of the Chief Scientist. We would like to thank the former Chief Scientist Dr Christine Williams for her role and ongoing support and formally invite her to be the patron of the ACSA-QLD Chapter. The location and timing for the launch of the Queensland Citizen Science Strategy could not be more appropriate, particularly during the school holiday period. It is great to see so many excited faces around the venue which demonstrates the passion and enthusiasm that community has for citizen science. Being a father of a 4 year old, it gives me pleasure when I am able to share my passions and work with her due to the excitement she gets when she tells me that she is a ‘scientist’. Citizen science is inclusive and allows anyone to be able to participate in a variety of projects. It’s what makes it such a rewarding and fulfilling experience because the research is being achieved and people are enjoying themselves in the process. It allows us to go diving with Reef Check and assist on their surveys, waking up on cold mornings and searching for platypus in the Gold Coast hinterland with PlatypusWatch and observing the native birds in our backyards with BirdLife Australia. Global Citizen Science – Can Citizens Deliver and Make a Difference? Provide health professionals with levels of detail on disease and disease vector carrying species, at a speed and accuracy that will enable scarce resources to be targeted with a precision not possible using conventional scientific approaches. 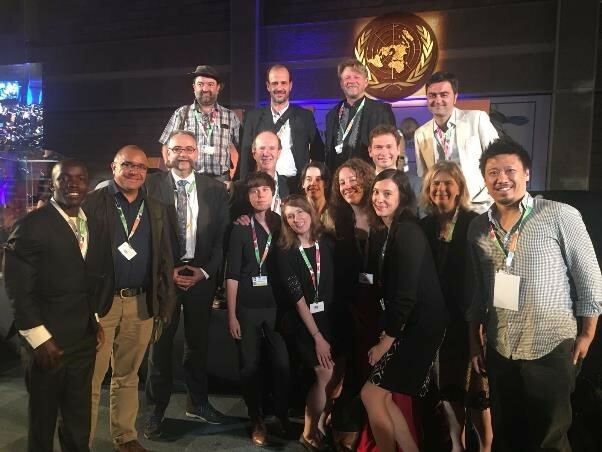 With support from UNEP and the Wilson Centre in the US, the Citizen Science Global Partnership (CSGP) was agreed at the UN Environment Assembly (UNEA3) in Nairobi 2017. Citizen Science Associations have emerged in Australia (ACSA), Europe (ECSA), the USA (CSA) and Asia (CSAsia) and discussions are underway to set up Associations in Africa and South America. CSGP is planning sessions on Citizen Science in Dubai at the Eye-on-Earth Symposium in October 2018 that will take part in parallel with the UN World Data Forum as the value of unconventional data sources is increasingly recognised by National Government. 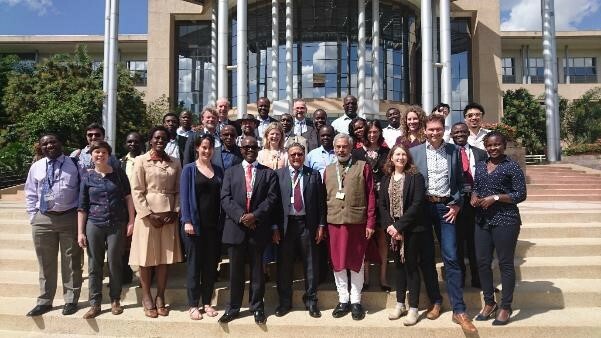 CSGP will also be present in Nairobi at UNEA4 in March 2019 at the highest-level environmental decision making body on the planet. This talk and the associated discussions will explore whether we are ready to take the next step as Global Citizen Scientists and develop the integrated programmes that will prove the value of citizen science at the global level. Successful programmes are needed to drive change and encourage Governments to actively engage across the planet with the citizen science community. It will also explore the leading role that Australia could play in that process as the lessons learnt in running citizen science programmes on the Australian continent are shared with the global community. Chair of the European Citizen Science Association Policy Working Group & Coordinator of the CSGP Delegation to the UN World Data Forum in Dubai October 2018. Martin is a founding instigator of the European Citizen Science Association (ECSA) and the Global Mosquito Alert Consortium. He is Chair of the ECSA Policy Working Group and has significantly raised the profile of Citizen Science and its potential value to governments and global institutions, working with UNEP and Citizen Science Associations around the world. Martin is an acknowledged leader of the Citizen Science movement and has developed working relationships at the highest level globally to promote the value of Citizen Science and the data it can deliver to the UN Agenda 2030 Sustainable Development Goals. 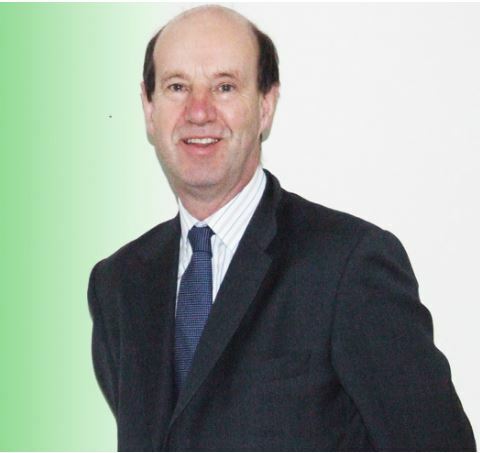 Martin is also a national expert on Waste and Resource Management and the UK National Representative on the ISO and CEN/CENELEC Ad Hoc Groups to explore what additional standards are needed to promote the Circular Economy and previously he was the Technical Advisor to the Parliamentary Environment Audit Select Committee, Growing a Circular Economy; Ending the throwaway society as well as adviser to the International Solid Waste Association (ISWA) on the same topic. Martin has taken on environmental advisory roles for a wide range of organisations including NGOs, Public Sector Regulators, Trade Bodies and the UK Parliamentary Audit Committee. For 13 years, he was a senior public-sector regulator, in developing and delivering UK Environmental Regulations, pioneering new approaches to regulation. For 14 years, he was a senior health safety and environmental manager in business recognised for delivering outstanding performance for multi-national oil companies. Independent Environmental Consultant (2011-18), Executive Manager UK Environment Agency (1998-2011), Senior HSE Manager Gulf Oil, Chevron and BP (1984-1998). Citizen science in supporting programmes to understand and reduce the decline in natural ecosystems. Seed Grants available for ACSA Members – call for applications! ACSA is excited to announce a new initiative. As a way of giving back and investing in our members we’ve started the ACSA Seed Grants. Participation – Encourage & promote broad and meaningful participation of society in citizen science so people become partners in creating science & increasing science literacy. Activities that encourages participation in a citizen science project, could be a workshop, an event or a school outreach program or an app. Practice – Support the development of tools, methods, infrastructure, and resources to strengthen the practice, use and study of citizen science. Development of tools or infrastructure that aims to meet this goal. This grant is open to all current ACSA members. Proposal summary – a brief description of what the Seed Grant would be spent on (200 words maximum). In what way does the proposal address ACSA’s strategic goals of Participation and Practice. How effective is the proposed activity in addressing these goals. How beneficial will the proposed activity and its outcomes be to the applicant’s professional growth or the project’s growth. Entries must be received by Sunday September 30, 2018 5pm AEDT. The recipients of the Seed Grants will be announced at the ACSA Annual General meeting in November, and on the ACSA website by November 30, 2018. Recipients will also be contacted by email or phone. The grant is open to current ACSA members only. The activity outlined application must be able to be completed within the year following the awarding of the Seed Grant. The Seed Grants are 3 grants of $500 each. Recipients will be asked to provide photos and a blog outlining how they intend to use the Seed Grants, for publication on the ACSA website. Additional information may be required for a year following the awarding of the Seed Grant. Information provided by the recipients may be used by ACSA for promotional/publicity purposes. This may include, and is not restricted to, the information being used on websites, social media, printed material, press releases etc. Personal information provided to ACSA can be used by ACSA, however such use will only be in connection with the Seed Grants. The deliberations of the judging panel remain confidential. All recommendations and decisions taken are binding and final and no correspondence will be entered into on such matters. The judges reserve the right not to award the grants if, in their view, the quality of entries is insufficiently meritorious. No entries will be received or considered after the close of entries. Failure to meet all conditions of entry will automatically disqualify an entry. What will you be wearing to #CitSciOz18? Your brand new ACSA t-shirt of course! 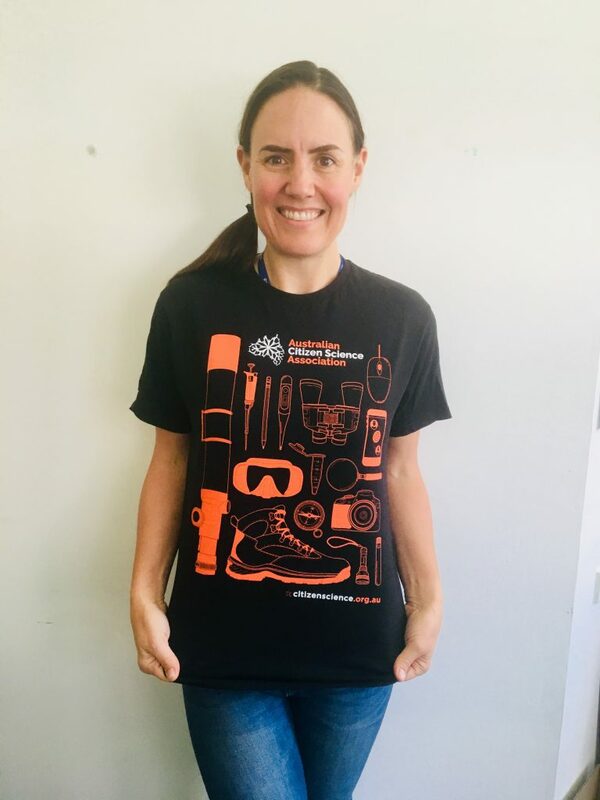 Free for all ACSA Members, this groovy black and orange t-shirt features the ‘tools of citizen science’, and will be available for collection at the conference registration desk from Wednesday 7th February! A variety of sizes will be available for you to choose from. For those ACSA members not coming to the conference, your t-shirt will be mailed out to you. Additional t-shirts can be purchased for $20 each! 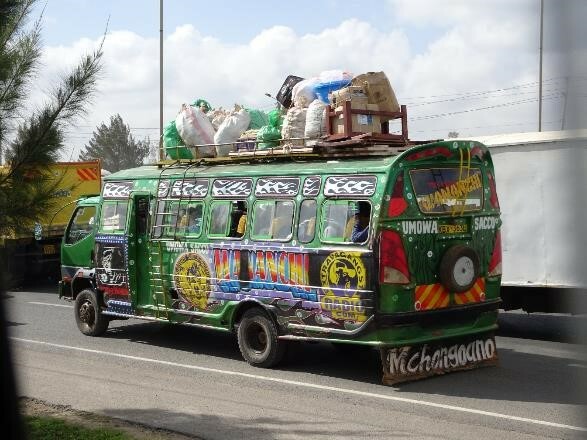 I’d heard about the traffic gridlock in Nairobi- but I guess I never really understood how bad it could be. I am stuck in traffic heading back to my hotel and going nowhere fast. I’m in Nairobi as one of around 20 people who are part of an international citizen science delegation attending the United Nations Science-Policy-Business Forum from December 2nd-3rd at the UN Complex. The UN complex in Gigiri is an oasis of green set on 140 acres and filled with indigenous tree species and Sykes’ monkeys. The focus of the Forum is pollution and how to bring together and encourage collaboration between science, policy and business to address global scale challenges. Our mission as a delegation is to ensure citizen science has a voice throughout the Forum and to place it firmly in the minds of forum participants as a tool to help address sustainability goals. 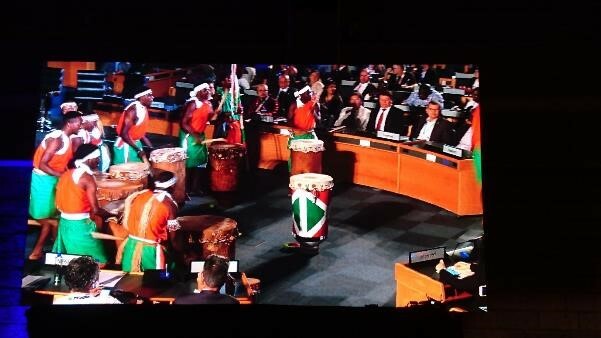 The opening plenary with African drumming kicking off the forum was a privilege to attend. Moderated by Axel Threfall the opening was filled with hopeful words encouraging attendees to use the time to shape our own engagement and to think of the UN as the facilitator of the process. Anne Bowser, from the Woodrow Wilson Centre and on the CSA Board of Directors, led the charge for the citizen science delegation at the plenary, inviting Forum delegates to attend the citizen science session held later that day and announcing the bold target of 1 billion people engaged in citizen science by 2020. The citizen science delegation then split up to make sure our voices were heard in all the sessions throughout the Forum. We also organised our own session titled ‘Future of Citizen Science’, which featured panels and talks from citizen science representatives from around the world. The challenge set for this well-attended session was to tackle ‘how to scale the impact of citizen science’. You can read another perspective on the forum and citizen science session, as well as see a final statement video via Scott Edmunds’ (GIGI) Blog post. Scott was one of the citizen science delegates from Hong Kong. The Forum closed with a challenge for all attendees to set pledges and goals and to push the pollution agenda forward. It was reiterated that everyone’s voice counts and that it is critical for science, policy, and business to collaborate. The message from the President of the UN General Assembly resonated with me. Miroslav Lajcak highlighted the ‘importance of government policy being informed by science and for it to be made in the best interest of the people. Furthermore, it is no longer business savvy to place profit above the environment and that dialogue between us is the most powerful tool we have’. Powerful words. The closing concluded with pledges from forum attendees, including the launch of a new gap analysis on the science policy interface by the UN. Johannes Vogel, who is currently Chair of the Executive Board of the European Citizen Science Association (our citizen science delegation lead), made the final pledge of the forum. Johannes urged us to move forward as a society together and underscored that in order to meet the problems of today, professional science alone cannot provide the necessary evidence. He reiterated our ambition of ‘1 billion global citizens engaged in citizen science by 2020’ and launched the Global Secretariat that will convene a standing committee to work with the UN. He also indicated the intent of forming an African Citizen Science Association. African drumming concluded the forum. 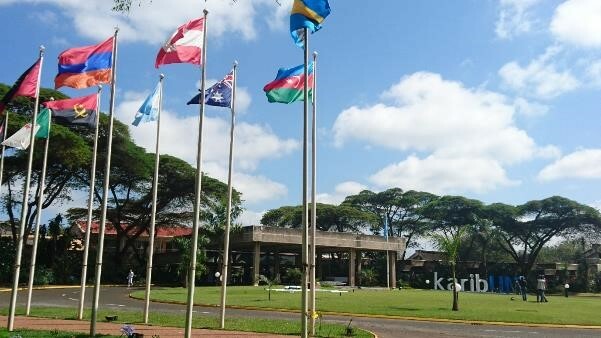 My final day in Nairobi as a delegate was spent at the United States International University (USIU). USIU is a beautiful campus and I was surprised by the number of common plants that I see in Sydney, such as bottlebrush and interestingly lots of lantana! 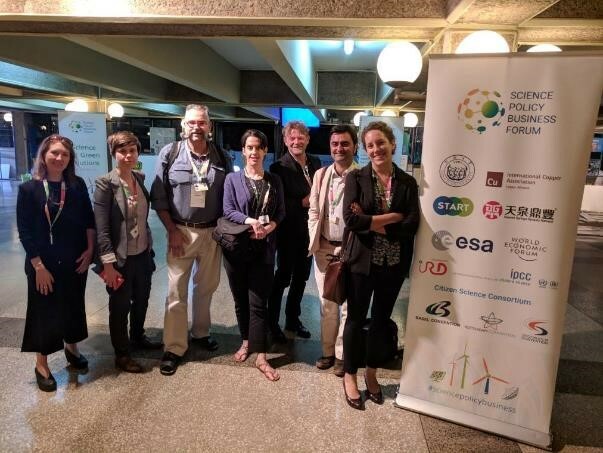 At the meeting, faculty and students, as well as members of the citizen science delegation including CitSci Asia, ECSA, ACSA and CSA representatives, agreed on draft governance arrangements for the Global Citizen Science Partnership that was announced by Johannes Vogel at the closing plenary. It was agreed that ACSA will have a seat on the steering committee, so I will be able to provide regular updates about this exciting and fantastic initiative. It was also agreed that USIU would serve as the host institution to help establish the African Citizen Science Association. The other associations would support by offering to help with connections to other people and organisations that are active in the citizen science space and to share lessons learnt from our experience in setting up respective associations. Back in Nairobi traffic, my Uber was making slow progress, but I had much to reflect on. It was an absolute privilege to attend both the Forum and the meeting of Associations (and prospective Associations) at USIU. What an experience to meet all the fantastic citizen science delegates, learn about another culture and country, as well as help advance and advocate for citizen science on a global scale. Stay tuned for reports from ACSA detailing how the network is advancing the commitments made to the UN. My thanks to Anne Bowser, Martin Brocklehurst, and Johannes Vogel for leading the delegation. In the words of Martin Brocklehurst, ‘It is an event that in retrospect will, in my opinion, be seen as a watershed in the growth of the global citizen science movement’. Exciting times indeed! 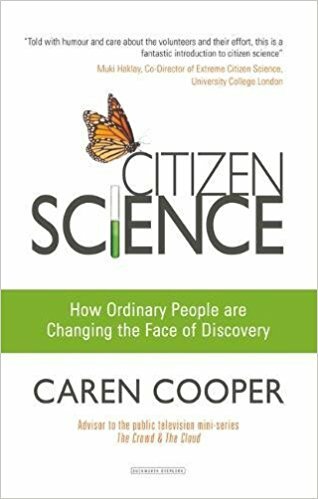 Caren Cooper, one of our exciting keynote speakers for #CitSciOz18, has a new book out “Citizen Science: How Ordinary People are Changing the Face of Discovery“. Released in the USA about a year ago, it is now available in the UK, and ACSA is excited to have been sent three free copies from the London publisher…which we will be offering as conference prizes! Professor Muki Haklay, University College London, has written a blog post reviewing the book, which you can read here. Have you read the book? Let us know your thoughts! 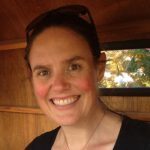 We look forward to hearing more from Caren at #CitSciOz18 in February 2018. ACSA held it’s AGM on Tuesday 14 November, 2017, at which the Chair’s Report and the Treasurer’s Report were presented. Being a non-voting year, no elections were held. You can read a copy of the Chair’s Report here.